So you can see that while the detail of the edge of the set does get better as you increase the maxIterations value, the pixels outside the set are almost all red. 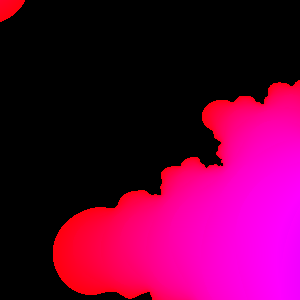 At this zoom level, I'd say something like 50 iterations would be an ideal balance of color variation and edge detail. As usual, increasing the maxIterations value too much leaves most of the points outside of the set red. Here I'd say something between the second (120 maxIterations) and third (250 maxIterations) is more or less ideal. This is all relatively simple to do one image at a time with your eye and some tinkering, but this would be very difficult to do if I were to create a zoom like this: http://vimeo.com/1908224. I'd need some method of finding something like an ideal maxIterations value depending on the zoom level. So after all of this, my question is: is there some such method? If not, where might I start to look in order to figure this out for myself? Am I thinking about this wrong? Is there a more obvious solution that I'm missing? fractal colouring for deep zooms I have rendered such as e214 and "last lights on" have the palette applied in a loop, so it repeats every X number of iterations. can you colour it like that? If I find the journey of an animation has areas where contrasting colours are too far apart, then I increase the speed of the palette. ie: lower the value of X. - Then any change in the overall iteration value will not change the colour placement. This works pretty well, but don't ask me how I came up with it. 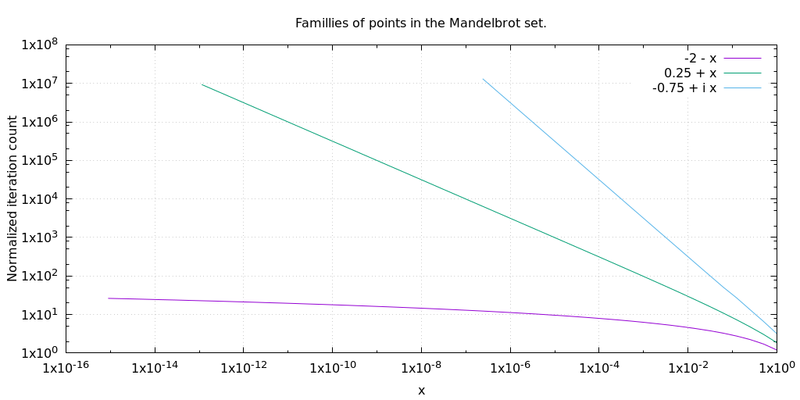 As this graph shows, the behaviour of normalized iteration counts of points near the Mandelbrot set varies widely, indicating that attempts at a formula based on scale factors is doomed to fail. 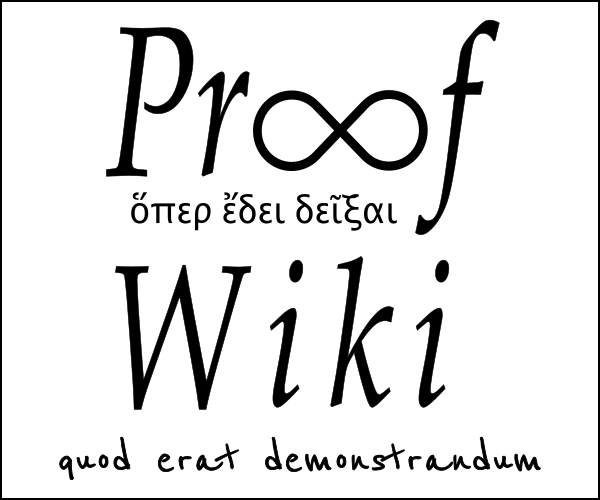 In any case the ideal number of iterations is infinite. For views with no interior regions visible it is preferable to structure computations such that they can be incremental without a fixed iteration limit, as all pixels will escape eventually. For views with interior regions visible one needs a limit, but this can be set dynamically by considering the behaviour of the pixels - maybe keep doubling the limit until no more pixels have escaped. Interior checking can help speed this up. How to colour the iterations once you have calculated them is an aesthetic matter that has been addressed by the accepted answer. I do also recommend distance estimation as a way to make filaments uniformly visible. If I understand you correctly, you are asking "what is the formula that tells you how many iterations to do to get the Mandelbrot set to have a 'nice' resolution at some given level of magnification?" "I'd need some method of finding something like an ideal max Iterations value depending on the zoom level" is not a well phrased question; for one thing, the concept of "ideal max iterations" is not well defined and could mean different things for different people. There is no easy way to make the video like the one you linked to, and I'm sure it took a very long time to make that one because each frame had to be resolved one at a time and then put back together. I have no way of knowing for sure, but I have always assumed that video was made by determining how many iterations for each frame (zoom level) to do one frame at a time, by trial and error. That being said, I believe that the rapidity for which one point on the set converges has little/no effect on the convergence properties of many other points in the set which lie very close in distance; and therefore I don't expect that the formula you are looking for will exist. The problem is that some regions (and some sub regions...) of the set require more iterations to resolve in a nice way than others. However, if you included some additional information such as specifying the path you took as you zoomed in on the set, then it would probably be possible to find a formula that accomplishes the thing you are trying to do. I say this last point based only from my personal experience playing around with ChaosPro, not for any major theoretical reason. Not the answer you're looking for? Browse other questions tagged geometry fractals . Mandelbrot precision target the center of a pixel? Simplest way to determine if a number is a member of the Mandelbrot set? Can we prove the Mandelbrot set is a fractal? Which maps/processes produce fractals? Determine coordinates for Mandelbrot set zoom. Is the generalized mandelbrot set a fractal in the $d$ dimension? Get equation for real and complex coordinate of different level Mandelbrot Sets directly?